Urban Sketchers Seattle: There's no place like home. I took the bus downtown and walked from Pike Place to south of the viaduct, back up through Pioneer Square and Belltown. Then took the bus back to Wallingford to wander along 45th to the University district (where I bought for $3 a second-hand copy of Saul Bellow's Herzog because of a review in the current New Yorker), finally through Ravenna and around Greenlake. 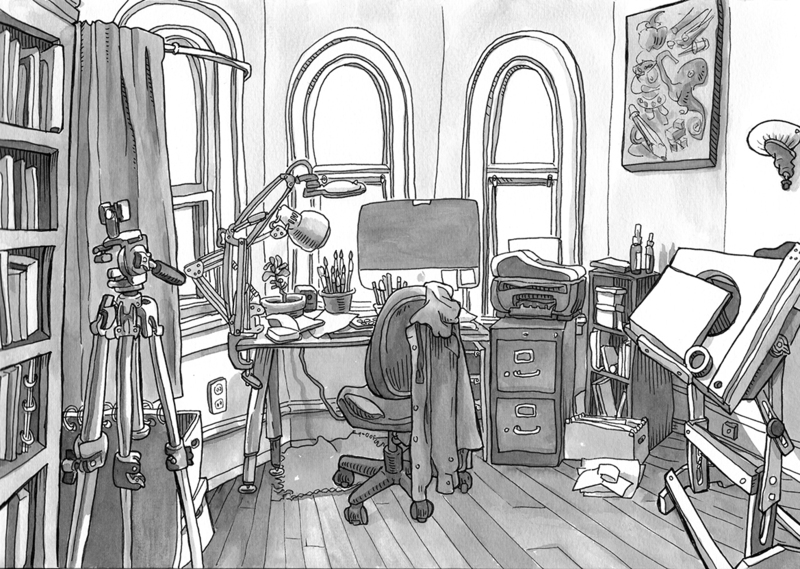 In the end, I came home and drew my studio.